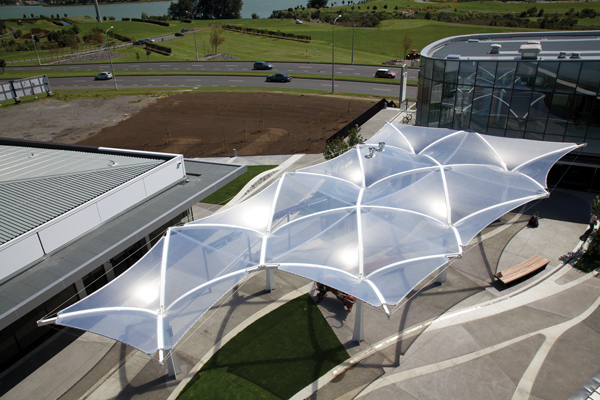 Structurflex’s inverted cone tensile membrane canopies at Highbrook Business Park have just picked up an award from OFPANZ, the Outdoor Fabric Products Association of New Zealand. 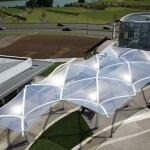 The majestic ETFE structures at The Crossing won the award in the Tension Structures less than 500sqm category. 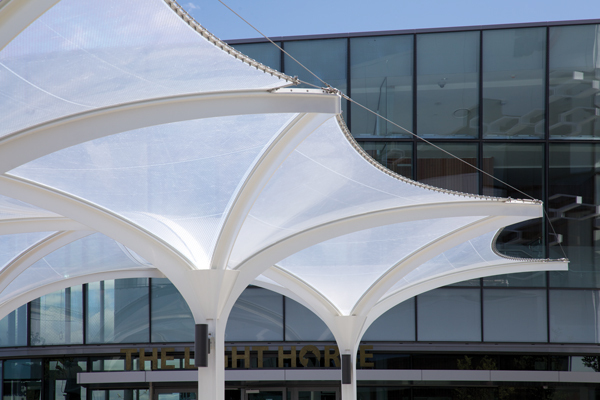 The lightweight canopy not only delivers a sculptural quality but also provides pedestrian shelter from extreme weather. 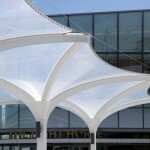 The iconic structures have made interesting reading, with an article recently published in TRENDS magazine. 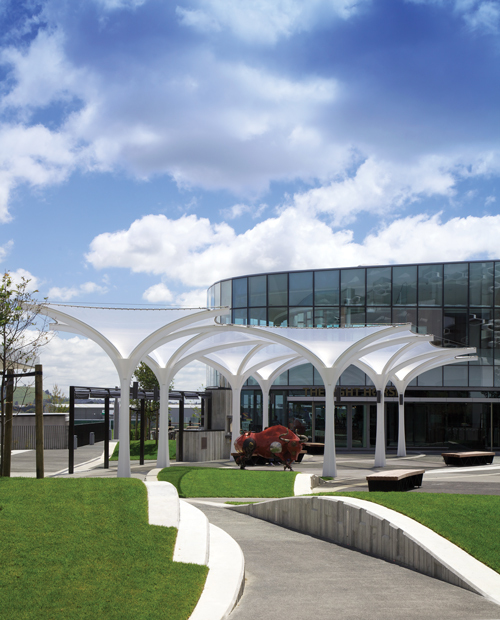 Click here to read the editorial. 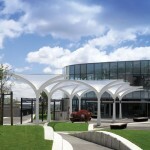 To learn more about this project, read the case study here.